As we can all tell by the supermarket shelves being crammed with holiday sweets and chocolate Santas, Christmas is drawing nearer at an accelerating pace. And especially with the holiday season approaching, you want to assure yourself once more that your Facebook ads are on point! In order to lift some burden from your shoulders, I created this blog post about some of our best tips and tricks to get your advertising ready for the primetime of marketing! Before jumping right into the big world of advertising, it is important to make sure all your social media platforms and your website, in particular, are ready to go. After all, why would you send your customers from your Facebook page to your website if it isn’t even ready to receive visitors yet? First of all, this involves organizing your website and keeping it up-to-date and easily accessible. Make sure that all the functions work properly, are easily visible and don’t show any ambiguous messages, as this would confuse the visitors. If it is appropriate for your brand, you could also tap into some festive decoration for either your Facebook Page (For instance, a cover photo with a red bow or snowflakes would do great!) or your website. Lastly, you should get a feel for the message you are trying to convey. Think about what makes your product unique, what is your value to the consumer? Then, keep that in mind when creating the actual ads so you don’t get carried away with random thoughts. How to create eye-popping, creatively themed ads that will resonate with your message during the holiday season! The average attention span on Social Media lasts for roughly 6 seconds. If you’re interested in attracting new customers, then this tiny timespan should be used wisely. Now I’m going to tell you, how you can make these 6 seconds last for a lifetime and create unique, engaging ads! An easy, but really effective way to generate your audience’s attention is to use the product you’re selling to create festive visuals. This could either be through giving your product a temporary, new look for the holidays or creating festive shapes with it. Ever wanted to create a Santa face using only lipgloss tubes? Now is your time! You can learn how to make your own product photography box HERE to execute professional looking photos with a still background. Have you ever realized that you show a higher interest in videos or animated posts? That is because an ever-changing image is going to engage the eye for a longer time, thus elongating the timespan people spend looking at your ad. The logic consequence would be, to use this knowledge as your advantage when creating (Facebook) ads. Fortunately, nowadays you don’t have to be a professional video producer anymore to create engaging animations. There are multiple apps out there to help you do it. However, if you are not really into downloading another load of apps to your phone (Flyr or Typorama), you could simply try giving your images a little life by adding GIFs or animated text to them. Ideally, these would incorporate some kind of holiday element to resonate with the season. 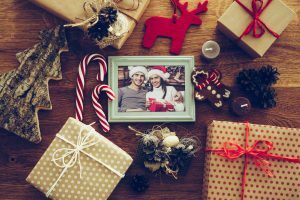 As we all know, having to find the perfect present for every family member can be quite strenuous, so why not give your customers a helping hand by showing them some ideas through a gift guide? Position your product as a gift by showing different personas! Gift guides will not only show the variety of products you offer already placed in the right context but also demonstrate how versatile they can be. This way, customers will be truly able to imagine their friends and family using their gift, which, in turn, will make them more likely to actually buy it. 4. Don’t overload your potential clients! While it is tempting to create more and more designs for advertisements as you go, you should refrain from the desire to do so. Instead, try to keep everything as simple as possible. Simplified account structure gives you better efficiency, so cut down on campaign creatives and focus on lifetime budgets. It’s OK if a customer sees the same ad up to 3 times. With 1,47 billion daily active users, Facebook is one of the best ways to promote your holiday campaign and a tremendous chance to reach both new and already existing customers. Generally speaking, Click-to-Website Ads generate most traffic when deployed in the news feed, since that is where the ad space is biggest, thus allowing you to use more space for creative and informational purposes. However, any Click to Website Ad will have an enormous effect in increasing traffic and website visitors as they will be directed to the website without any detours. 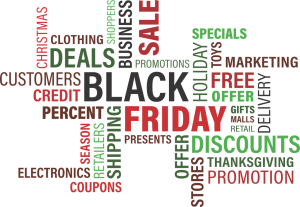 You can use Click to Website Ads either to send your potential customers to your starting page to increase general popularity or even to a specific (maybe Holiday-themed) product to promote it among your target audience. This decision is yours to be made. 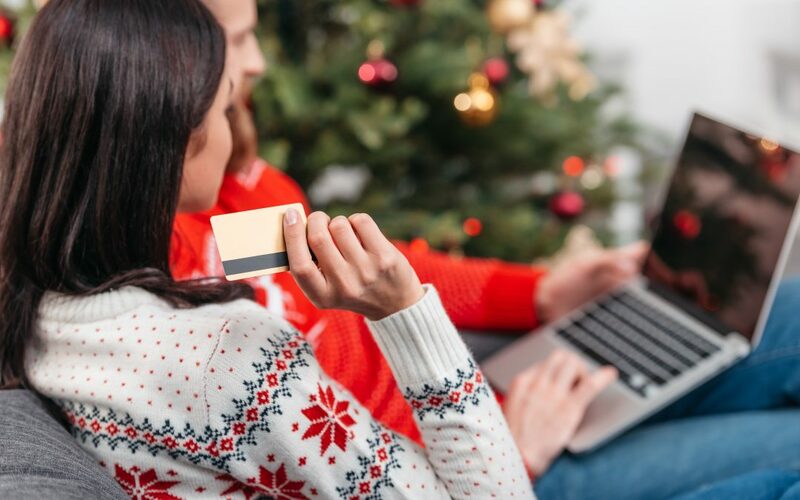 A great tip for short-term advertisements is to choose accelerated delivery as a pacing option when setting up your holiday-campaign on Facebook. In doing so, you signal the algorithm to get the content in front of your viewers as fast and efficiently as possible. This could come in handy on those many little holidays we all love so much during the Christmas time like Thanksgiving, Black Friday or even Cyber Monday! For the best results, your campaign should at least last for a few hours, ideally even a few days to make sure you really get your content out and in front of the audience. For those who don’t back off from a little bit of technical setup, conversion objectives would be the way to go to drive traffic to your website. It helps you to track the journey of potential customers and retarget them to get them to convert. So now, after all these steps you should be perfectly ready for the Christmas season to finally start! Have you already started your holiday advertising campaign? Let us know in the commenting section down below! Thanks a lot, Foloren! We’ve checked our photos and you were right, there was an issue. Our team is currently working on it to make sure all information is loading properly.